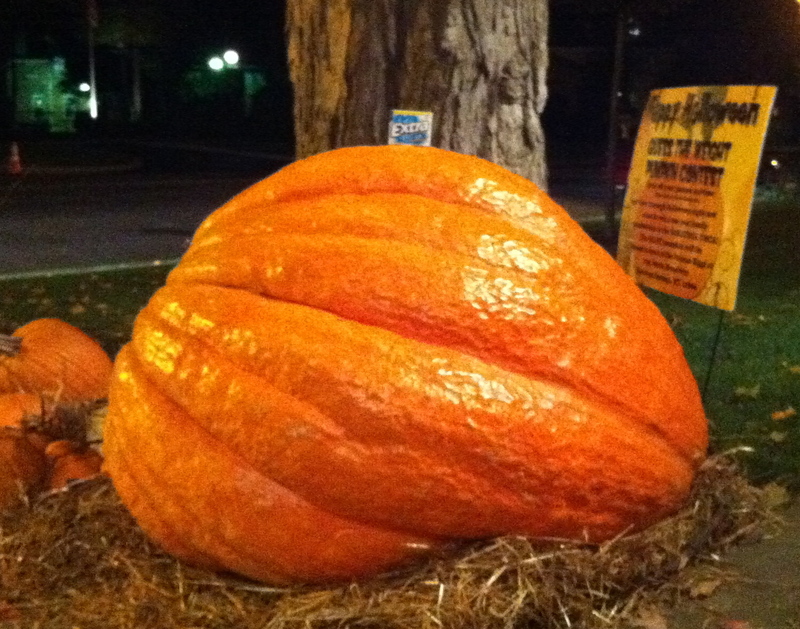 How Big is that Pumpkin? This is the second time I’ve done this lesson. You can read up on the previous attempt here. 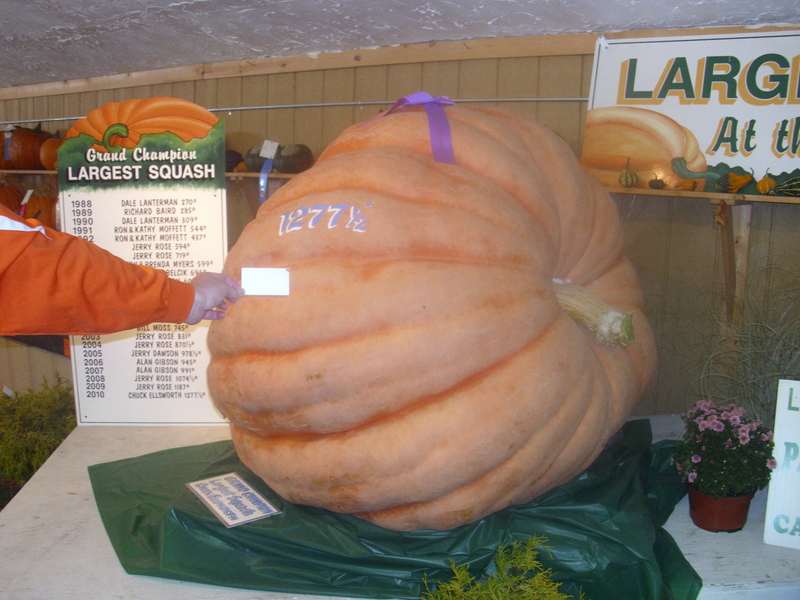 Quick synopsis: There is a local contest to determine how much a large pumpkin weighs, the winner receives a year Family subscription to the YMCA (worth about $800). This contest concludes on Halloween. Step 1: Find the dimensions of the pumpkins. Much thanks to Lisa Henry (@Mrs_LHenry) for the pictures. I asked; she delivered! FYI, the size of a pack of Extra Gum is: 6.2cm by 7.7cm. Finding the dimensions was step 1. Next the students had to graph a scatter plot of the dimensions to see if there was a corrilation between the dimension and the pumpkin weight. The three graphs they had to create were: height vs. weight, length vs. weight, and cross-sectional area vs. weight. 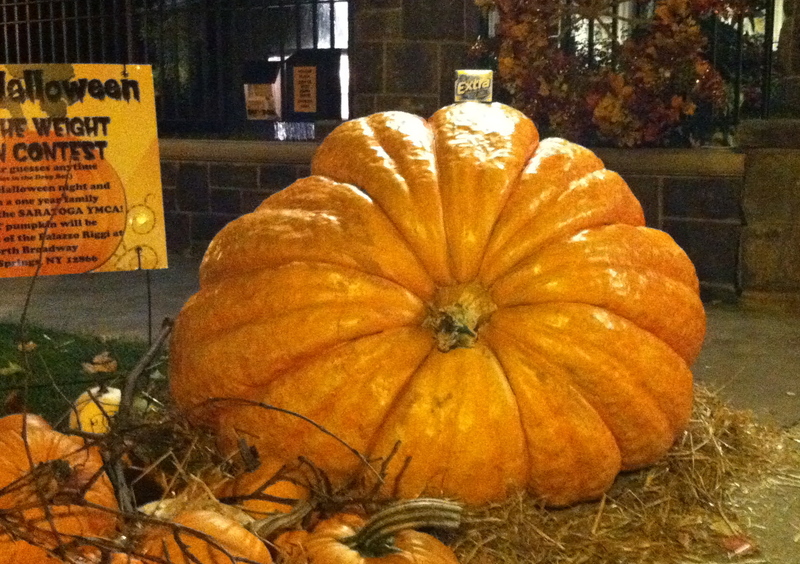 It turns out that our data didn’t show any correlation between the length of the pumpkin and its size. Good (not great) discussions followed, talking about how life doesn’t always work out like you wish it would, and how data doesn’t always fit our hypothesis. Also it seems like one of the pictures was significantly off when compared to the others. 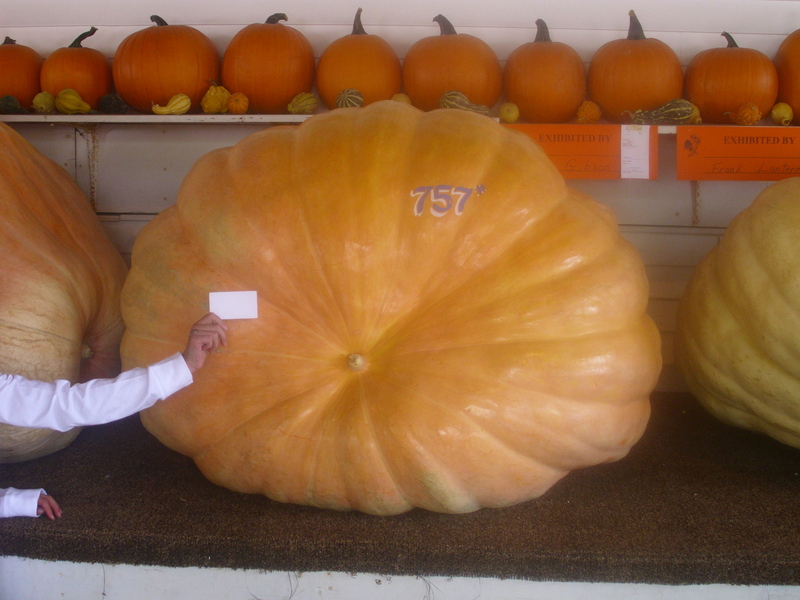 The pumpkin above with the weight 1208 pounds appears to be much more dense compared to the other two pumpkins. It was an outlier for our graphs, and this led to some important discussions as well. Ok, so we were waaaaay off. Nearly by a factor of two. I think I may know the problem, and it is possibly math related. I’ll give you some time to think about it. I think the problem lies in difference of how the photos were taken of the pumpkins. 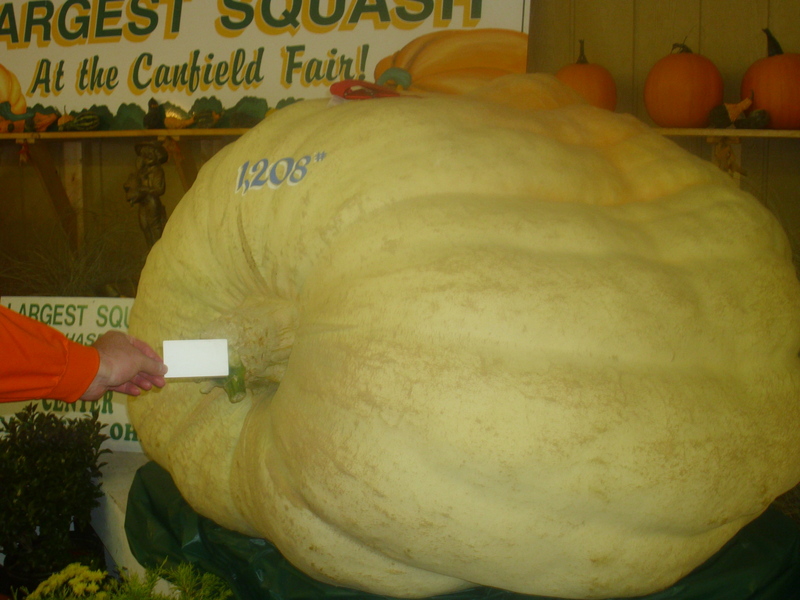 Notice that in the pumpkins that we know the weight of, the business card is in front of the pumpkin, and in my photo of the Riggi pumpkin, the pack of gum is on-top of the pumpkin? Since the pack of gum is on top of the pumpkin in my picture, if it was in front of the pumpkin like in the other pictures, it would appear larger, and the Riggi pumpkin would appear smaller. 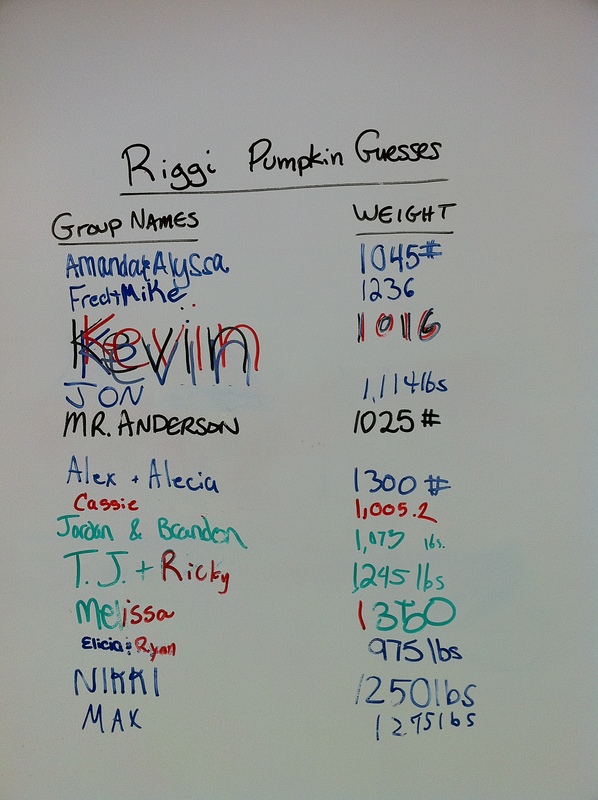 Making the calculated weight of the Riggi pumpkin go down. Sigh. Maybe next year. Would it be against the rules to adjust the size of the gum wrapper to ensure that the students get close to the right answer? I can see a double-edged sword here. The student’s B.S. meter might trigger leaving them flat, on the other hand if they go through all that only to fail then that will reinforce failure to some of the students. My students just hate it when they do all this work only to get it wrong and they know that I knew they would get it wrong. To use an expression I picked up when working in the states “That dog just don’t hunt”. 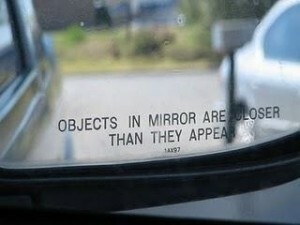 Either could lead into an interesting discussion on perspective though.